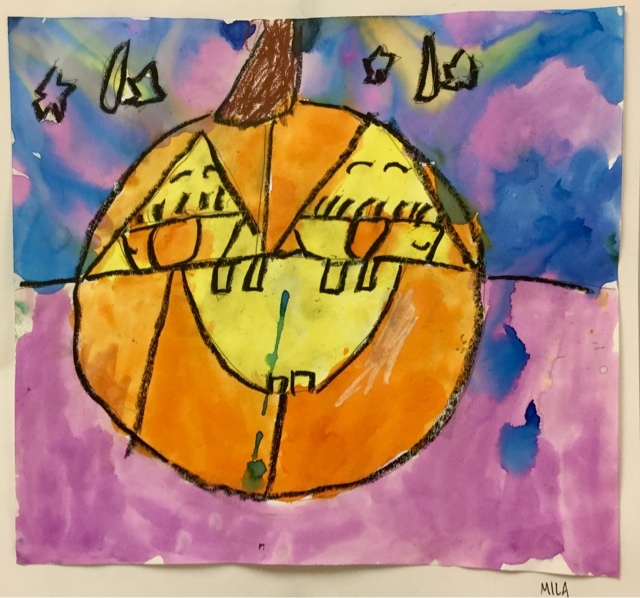 First Grade learned about Paul Klee and warm/cool colors. 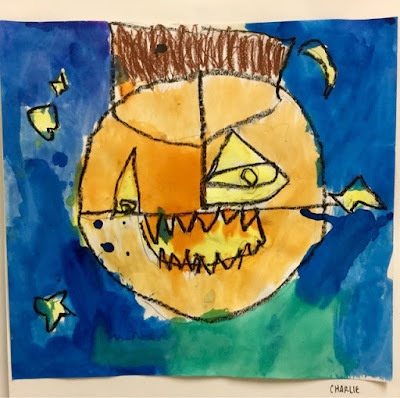 Here's how the project went down! For more pumpkin posts, click HERE! I showed the video below to give a little background information on Paul Klee. 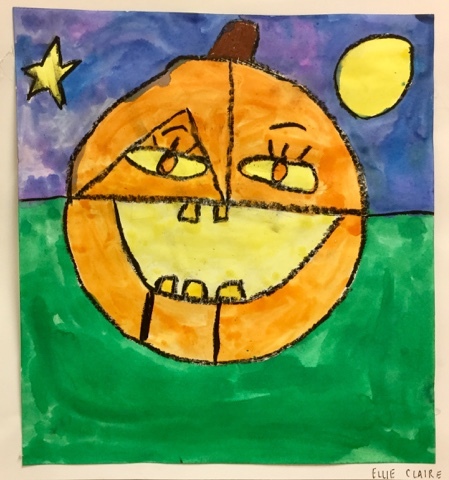 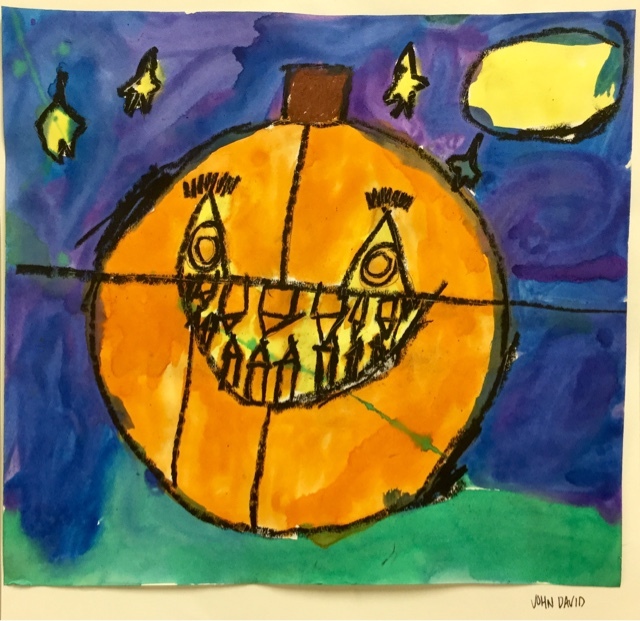 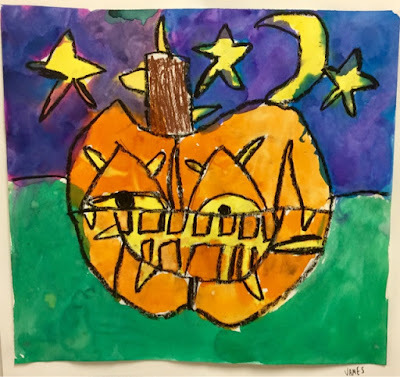 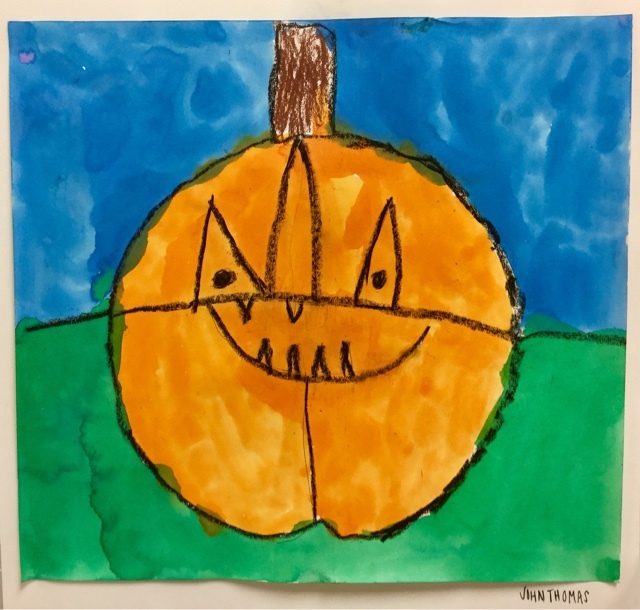 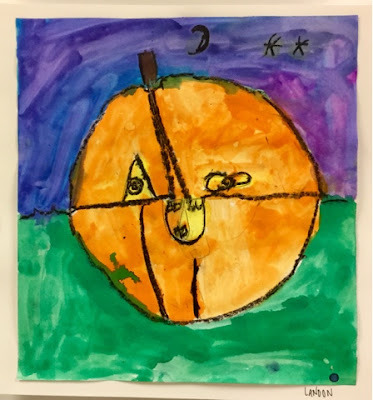 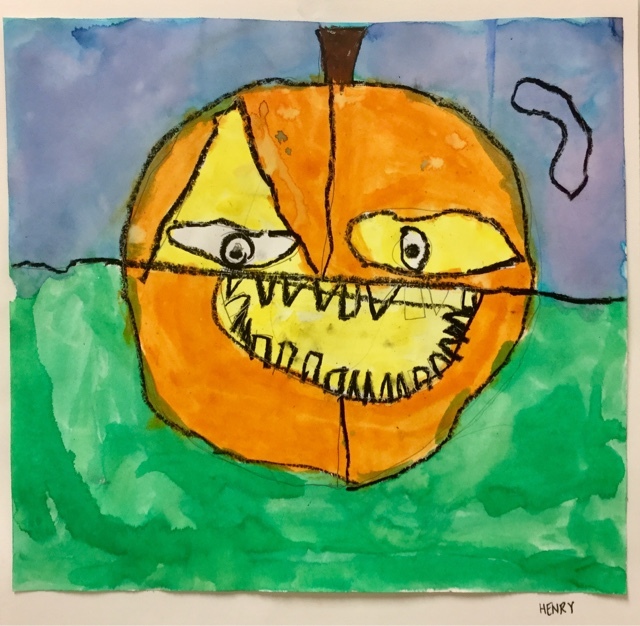 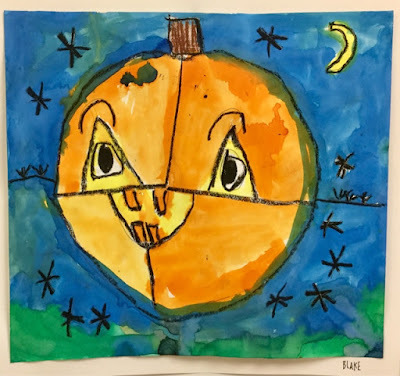 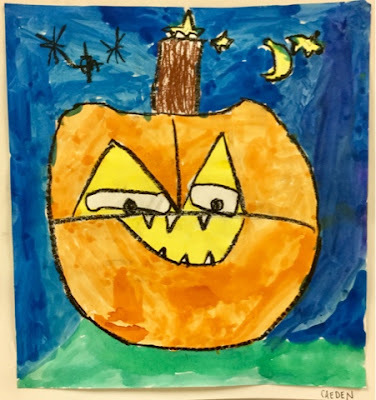 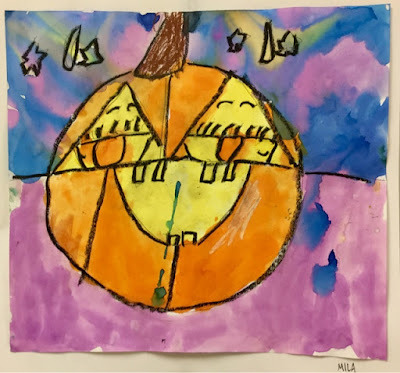 I ran across this post Click HERE for Miss Osborne'sTiny Art Room Post and we drew our pumpkins similar to Miss Osborne's 2nd Grade. Thanks to Miss Osborne! 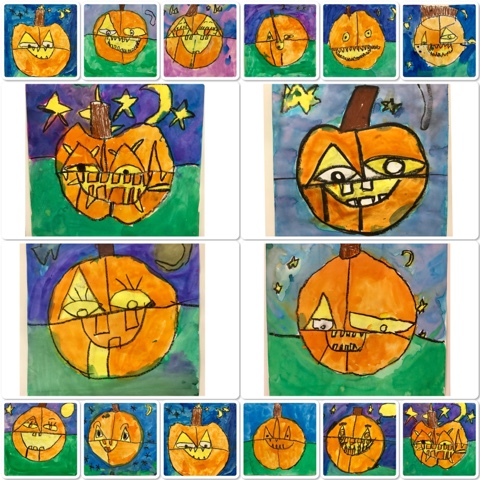 We used pencils to draw the pumpkins and the kids went over the pumpkins with black oil pastel. 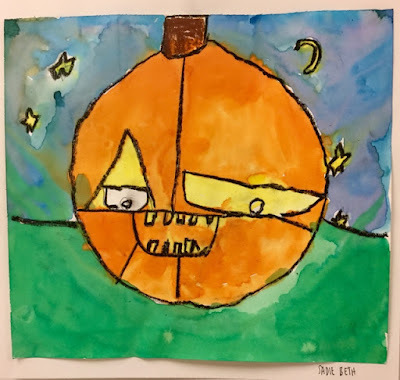 The kids painted the pumpkins with liquid watercolor using warm colors. 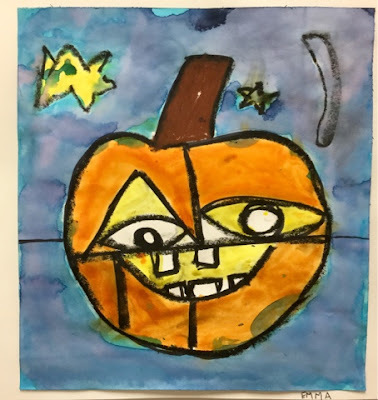 They painted the background with cool colors. 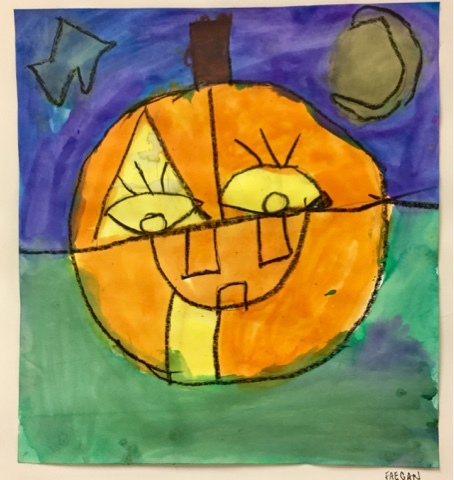 Aren't these pumpkins just smashing? 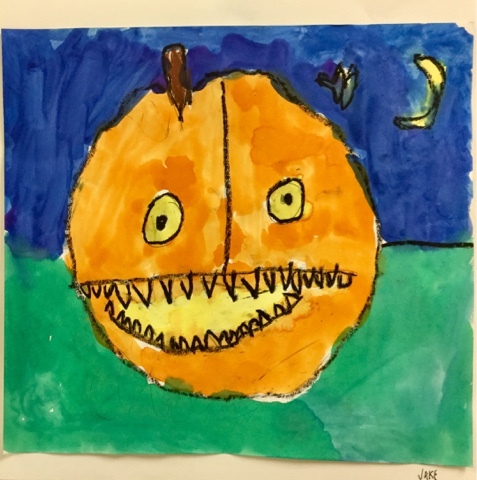 :) Here's the Smashing Pumpkins with one of their best, "Cherub Rock".